This is a 116 year old beautifully restored Victorian establishment dating back two centuries. 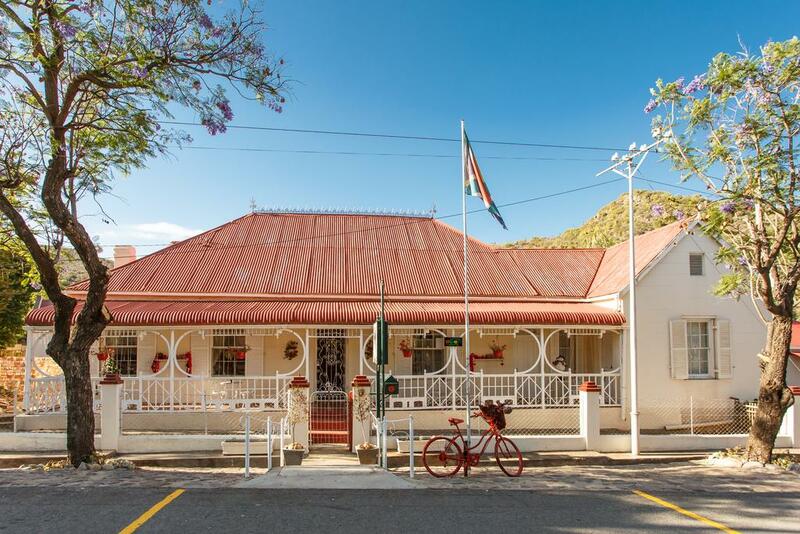 It is situated in the picturesque village of De Rust, at the foothills of the majestic Swartberg Mountain & at the entrance of Meiringspoort - the gateway to the Great Karoo. The Malvahuisie is a beautifully restored cottage offering both self-catering and B&B accommodation. There are also two en-suite units with private entrances onto a verandah overlooking the Swartberg Mountain. There is a private splash pool & green grass for relaxation. Restaurants & novelty shops are within walking distance & tourists have a choice of different walks in & around the village. One of the many attractions around De Rust is the world famous Cango Caves (35km) & the other the majestic Meiringspoort (2km). This quaint little town also forms part of the Route 62 that meanders from Cape Town through the wine valleys, Klein Karoo, Langkloof & beaches of Jeffreys Bay, Port Elizabeth & Addo National Park.